Withyham Parish Volunteers (WPV) is formed of a group of like-minded people from the community who have come together to offer their time and energy to help improve the Parish. A range of varied and interesting tasks are planned throughout 2017. WPV is delighted to welcome all members of the parish who might be interested in making a contribution to a wide variety of projects planned throughout 2017. 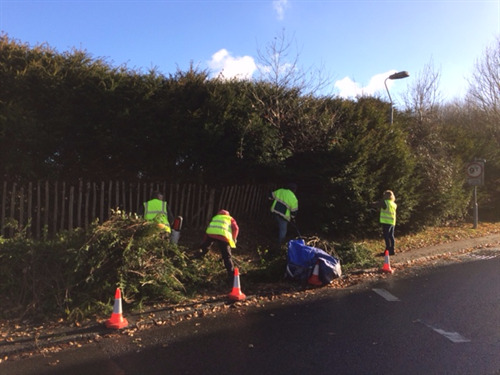 There is something for everyone to get involved with from providing a hot cup of tea to more active tasks, such as cutting hedges, clearing vegetation from footpaths and pavements, cleaning signs, litter picking and office admin. 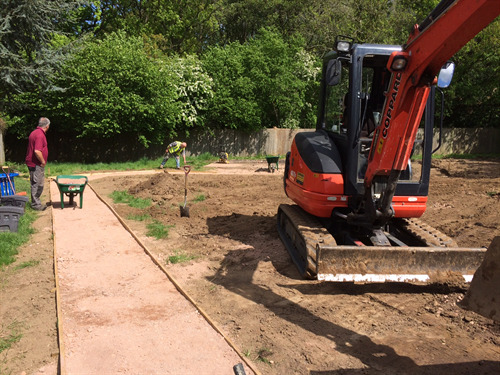 The rejuvenation project at Balls Green community space is progressing really well but there is still more to be done. 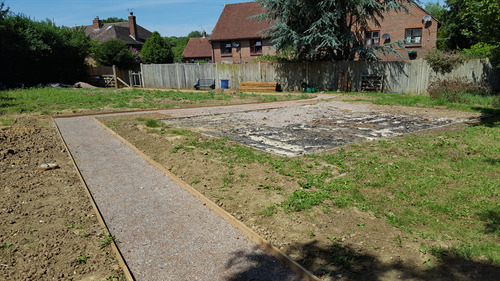 We hope to be able to hold a barbeque at the start of September for residents and current/prospective volunteers to show what has been achieved there, and so we would like to get as much done as possible before then. If you can assist on all or any of these days, or just part of them we would be so grateful. Dates are Wednesday 19th July, Saturday 29th July and Tuesday 8th August. There will be people onsite from 9am to 5pm with time taken out for lunch around 1pm. 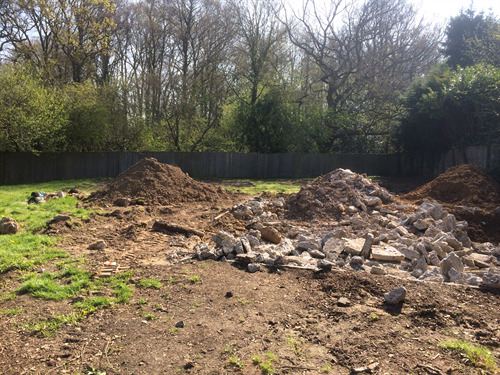 The sort of work undertaken will be clearing weeds, digging and raking topsoil, laying and compacting Type1, timber work to raised beds and building a barbecue. Or if you can pop over with some tea/coffee/refreshments that would also be most appreciated. If you would like to help and need further information or directions to Balls Green community space please call the parish office on 864557 (open Monday 9.30-5 and Tues-Fri 9.30-12.30). 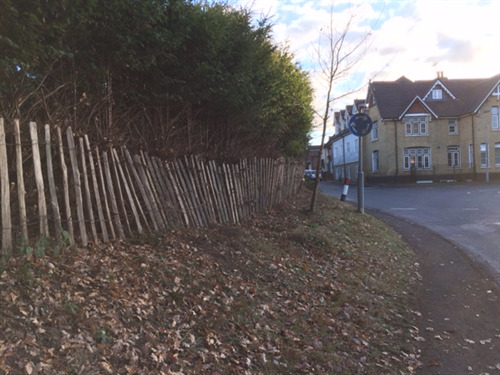 A big thanks to all those volunteers who cut back the hedge behind the fingerpost at the Victoria roundabout in Groombridge in early December – this was the first venture completed by Withyham Parish Volunteers (WPV). 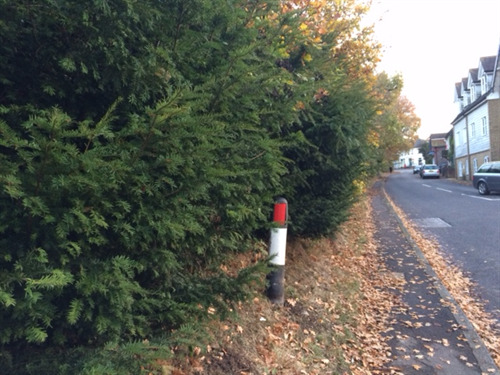 The before and after photographs below show how much was achieved. It was an enjoyable morning, a few hours of teamwork culminating in a swift half at the Junction Inn.